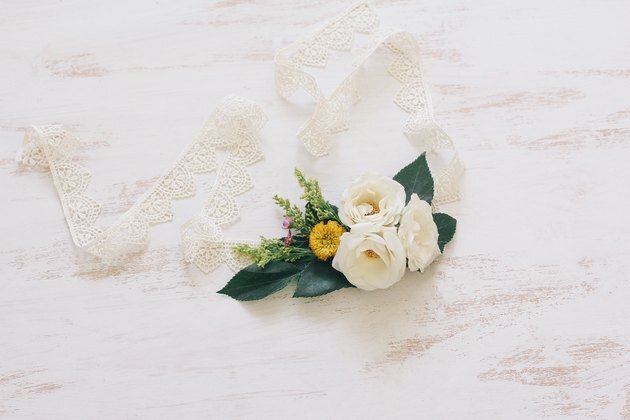 If you plan on wearing a corsage or boutonniere to a wedding, prom, or other special event, you may want to preserve it as a memory of the happy evening. We have four easy and effective methods to preserve your flowers, perfectly. At least since the Victorian days, people have been preserving flowers by hanging them upside down in a warm, dry place. The moisture in the flowers causes them to decay, but this is evaporated if the blossom arrangement dries in open air. This type of preservation works best if the flowers are very fresh, so start the day after your big event. Pick a well-ventilated and dry location that doesn't get direct sun, like an attic or closet. 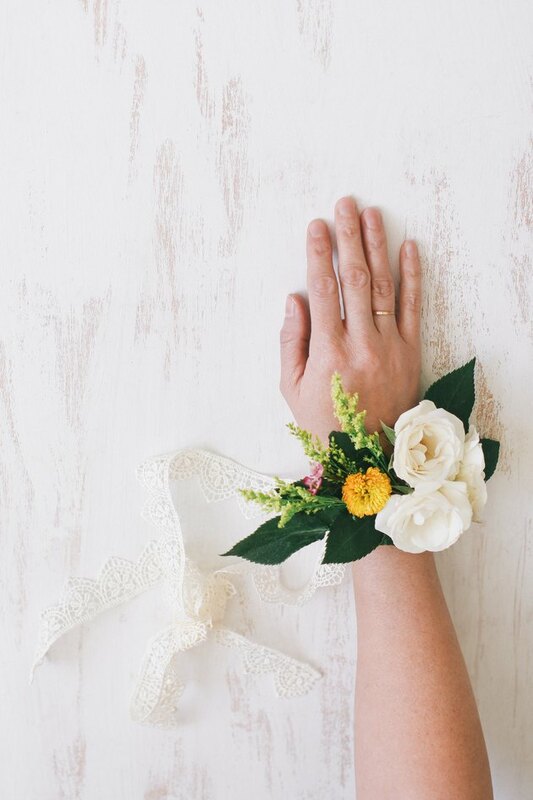 Hang the corsage upside down, then have patience. It can take two weeks or more for the flowers to become dry and brittle. Benefits: Air-drying is effective, free, and preserves both flowers and stems of a corsage. Downsides: A dried corsage is quite delicate and can crumble easily. Spraying the flowers with hairspray may protect them. There are products on the market that will dry flowers effectively and efficiently. The best one is silica gel crystals, a vitreous, porous form of silicon dioxide. Look for it at a craft store or else find it online. Some people prefer to use silica spray. You'll also need a flat pan with an airtight lid for this procedure. Spread the silica gel crystals in the bottom of the pan about 1 inch deep. Place the corsage or boutonniere on top, then add more crystals to cover the flowers, pouring carefully between the petals on the flowers. Put on the airtight lid and let the corsage dry for a few days before you check it. Wait until it is dry to remove it. Advantages: This works well for many types of flowers including tulips, anemones, and roses. It is also good for fragile and delicate exotics. It takes much less time than air-drying. Downsides: The silica gel crystals are fairly expensive. Also, you have to be careful when handling the flowers. If you leave them in too long, they will become dry and brittle. If you brush off the silica gel roughly, you may lose petals. You can make your own desiccation product (and save some money) by mixing one part Borax and two parts cornmeal. Put an inch of the mixture in the bottom of a box with an airtight lid. Add the corsage or flowers to the box, then dust more of the mixture over them. Be sure to get the product between petals. Close up the box and leave it for a few weeks. Advantages: It costs less than silica gel crystals. Downsides: It doesn't work as fast and may not work as well as silica gel. You'll need a freeze-drying machine to use this sublimation technique of drying flowers. The corsage goes into the machine and stays below 100 Kelvin for at least 12 hours. Afterward, a vacuum pump in the machine removes the moisture as vapor, which is condensed as ice in a second chamber. Advantages: The flowers retain their natural hues. This technique works well for roses, carnations, and also baby's breath. Disadvantages: The machine is expensive. You also have to store the freeze-dried flowers in glass containers so that they don't absorb moisture from the air.